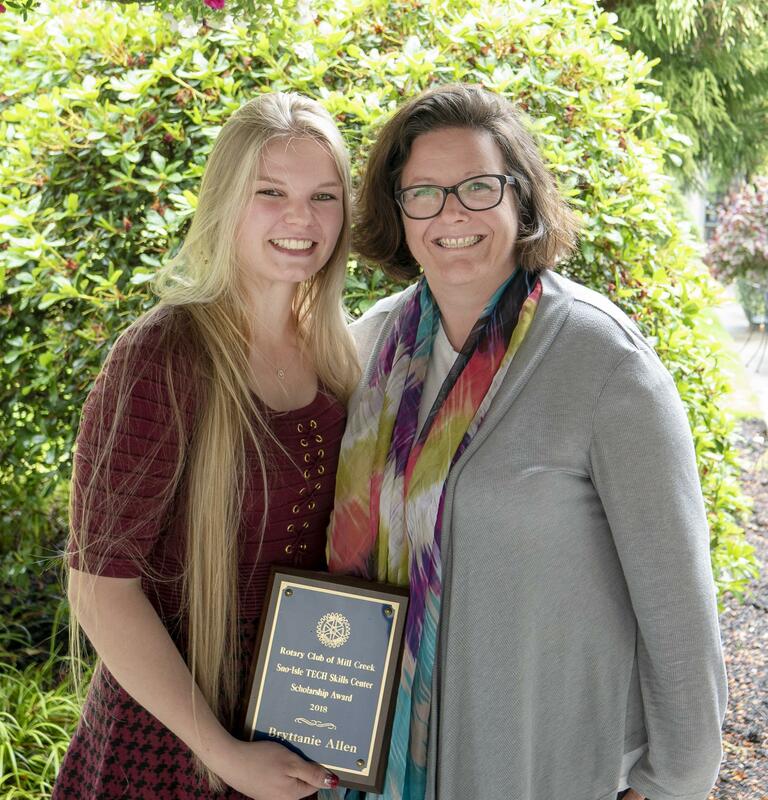 At our club meeting today, we recognized Bryttanie Allen as our Rotary Student of the Year and scholarship recipient for Sno-Isle Tech Skills Center. Bryttanie is shown above with one of her teachers from Sno-Isle Tech, Jenny Kuehn, who teaches the Sno-Isle veterinary assisting program. Bryttanie will be going to Yakima Valley Community College to study in the veterinary tech program and then plans to pursue her dream of working with horses and other large animals. Congratulations Bryttanie!